No one can remain indifferent to the way minority groups are increasingly the object of so much fear, scorn and hatred, Pope Francis said. And he warned those who profit from exploiting foreigners or people in precarious situations and those who contribute to today’s new forms of slavery that one day they will have to answer to God for the choices they have made, he said. The pope’s remarks came in a written speech he handed participants attending a conference on “Xenophobia, Racism and Populist Nationalism in the Context of Global Migration.” The gathering was jointly hosted by the Dicastery for Promoting Integral Human Development and the Geneva-based World Council of Churches in collaboration with the Pontifical Council for Promoting Christian Unity. In his speech, the pope noted how “feelings of suspicion, fear, contempt and even hatred” were on the rise against individuals or groups who have been judged to be “different” based on their ethnicity, national origin or religious affiliation, and, as such were being considered “not sufficiently worthy of being fully part” of a community’s life. These feelings, he added, “all too often inspire real acts of intolerance, discrimination or exclusion” and can gravely harm people’s dignity and rights. 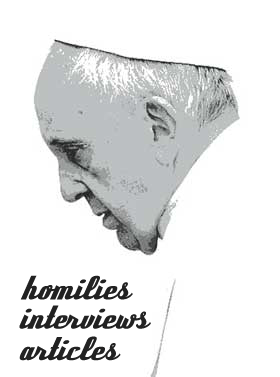 However, the pope sent a clear warning to those who benefit economically from “the climate of distrust toward foreigners” by using undocumented workers and feeding a system of job insecurity and exploitation. Conference participants released a final message calling on Christians to reject xenophobia and racism as attitudes incompatible with Gospel values. Participants also affirmed the right of people fleeing from armed conflict, persecution or natural disaster to seek asylum in another nation, and “we invoke respect for the rights for all people on the move, regardless of their status,” said the statement. Previous story Visit Majestic, Holy Lebanon Via Phone App! Visit Majestic, Holy Lebanon Via Phone App!